Lip balm is something that I use a lot. There's one in every one of my bags, most coat pockets, the car, down the side of the sofa...I just can't get enough of them. Having dry lips most of the time I always have one on me, and while I tend to pop one on underneath lipstick, sometimes I want a good dose of hydration and some colour payoff in one. The Caudalie French Kiss Tinted Lip Balms* offer just that. 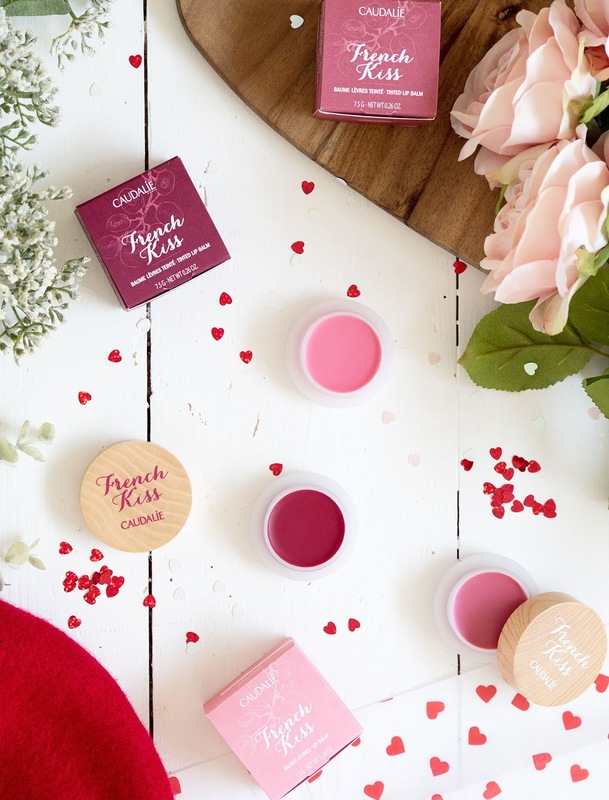 Perfect for winter and for prepping your pout for Valentine's Day! The Caudalie French Kiss Tinted Lip Balms come in three gorgeous colours; Innocence, an almost clear light pink that enhances your natural lip colour and carries a gorgeous vanilla and orange scent, Seduction - a subtle pink hue with a vanilla scent and Addiction, a raspberry red shade with a berry scent. Depending on your natural lip colour you'll see a different effect, but ultimately they are very sheer and give a 'your lips but better' subtle tint. Personally I think Innocence smells incredible and Addiction gives me the most pigmentation with a 'just bitten' berry stain. Caudalie has a very natural background which is nodded to with the cute wooden packaging, and the scents are of course also natural and not at all synthetic smelling like a lot of lip balms tend to be. 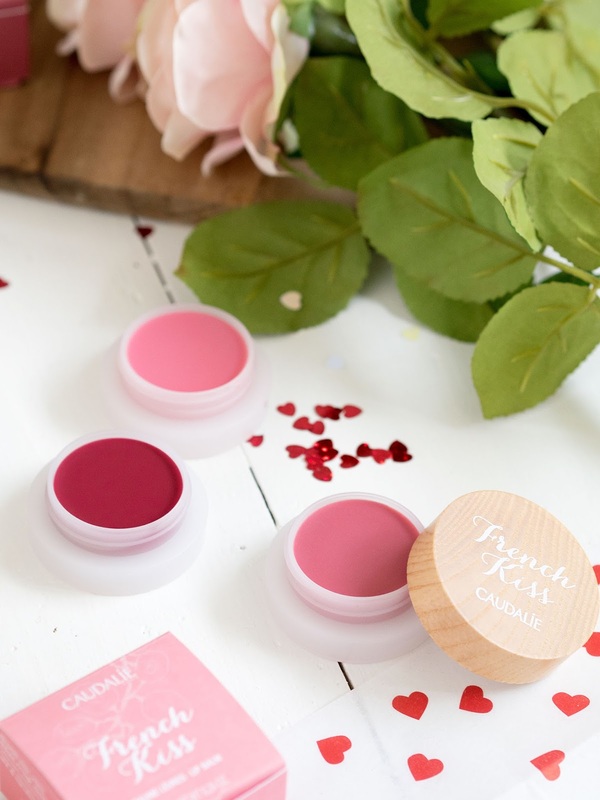 The French Kiss lip balms are a fairly solid texture which I prefer, so they're not gooey or gloopy which means they last pretty well on the lips - around two hours before I tend to reapply. The formula softens ever so slightly as your press your finger onto the balm, which Caudalie terms as a 'crème brulee' texture. The lip balms keep my lips really moisturised and contain quite a cocktail of natural and beneficial ingredients - polyphenols (anti-oxidants), aloe vera to soothe, castor and sunflower oil and beeswax to intensely nourish. I've worn nothing else on my lips since receiving these - Innocence in particular lives on my desk and I'm a little addicted to its vanilla-orange scent! For £10 a pop these are not to be missed if your lips are constantly chapped like mine. The post Caudalie French Kiss Tinted Lip Balms appeared first on Lelore.